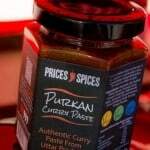 Purkan Curry Paste, developed in conjunction by Michael Warr (Mrs Price’s Daddy!) and tweaked by Michael Price. 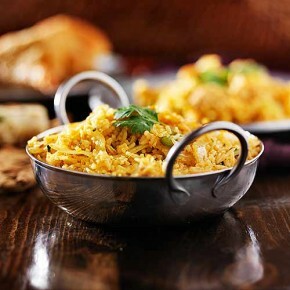 Michael Warr was born and raised just outside of Kanpur, hence how we can state its authenticity. 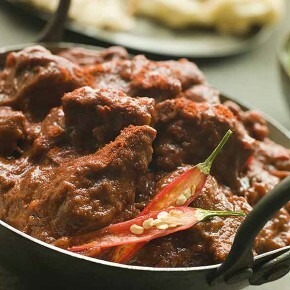 It carries a smooth heat well suited to poultry, lamb and beef curries. 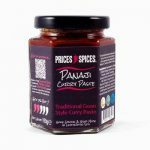 Michael and Michael have been cooking curry together for over 10 years, after teaching each other all they knew we thought it would only be right to share this amazing curry paste with everyone else. 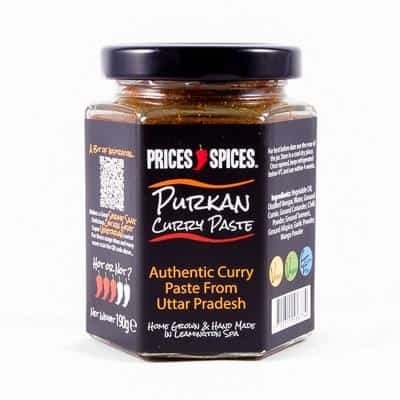 After all it’s a family recipe that goes back a long way, Purkan Curry Paste is great for all the family to eat as it’s a mild to medium heat. We have created a few usage suggestions by means of recipes for you to try out, we’d love to see how your usage ideas differ. If you come up with any usage ideas, that we’ve not thought we’d love to know what they are. 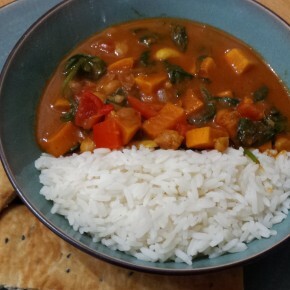 Heck go ahead and submit us a Purkan Curry Paste recipe! If nothing else we’d love to hear your thoughts and opinions by the way of a review. By doing so, you’ll even get some Scoville Points as a reward! The jar will cook two curries. Each one will feed four people or dare I say a couple of greedy gannets! Takes a little longer than the other purkan curry paste recipes, however it's well worth the time and effort! 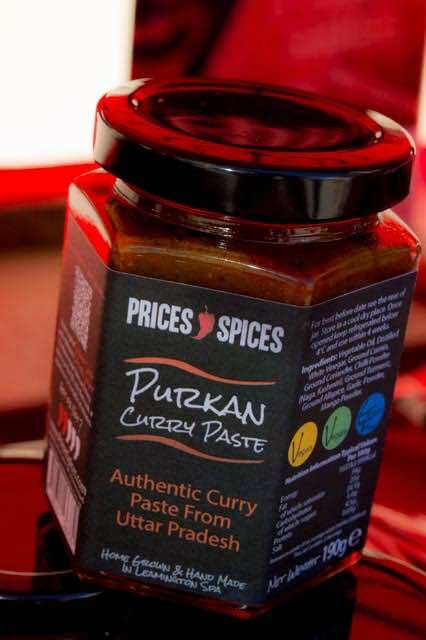 If you want to put the left over roast dinner meat to good use then why not give this biryani recipe a try using our amazing Purkan Curry Paste. 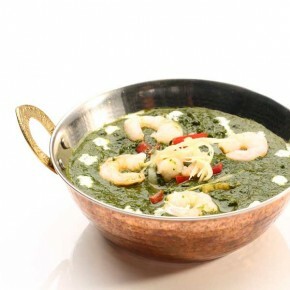 A mild yet aromatic shrimp saag curry packed full of healthy spinach and other wonderful flavours. 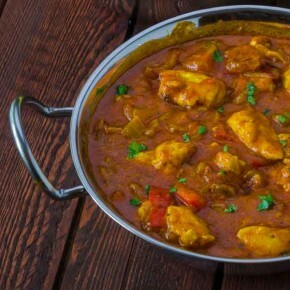 Flavoursome chicken curry full of North Indian aroma and a subtle heat. Vegetable Oil, Distilled Vinegar, Water, Ground Cumin, Ground Coriander, Chilli Powder, Ground Turmeric, Ground Allspice, Garlic Powder, Mango Powder.